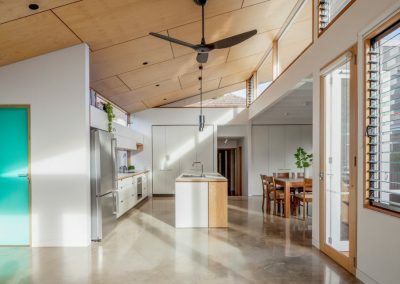 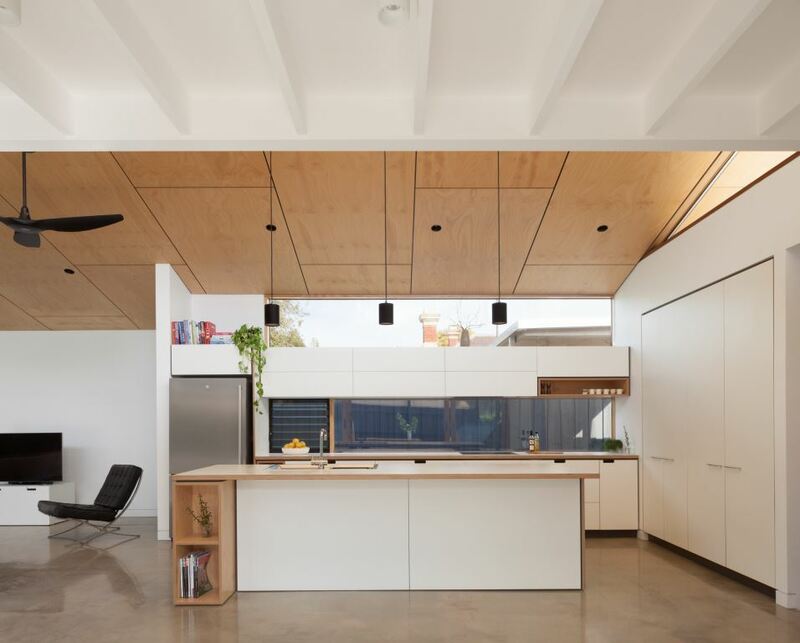 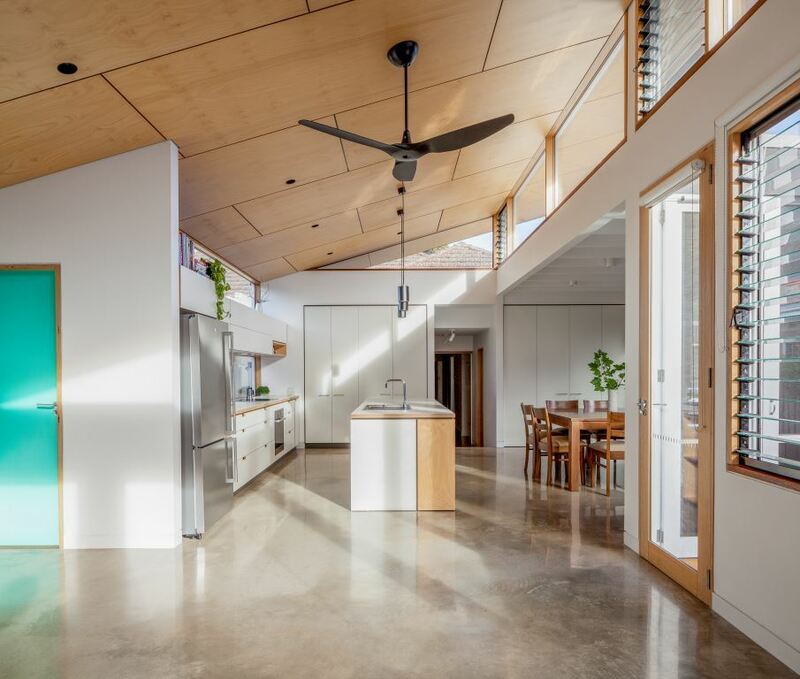 Ben Callery Architects collaborated with the owners and their cabinet maker to develop this unique homely residence in Mont Albert, Victoria. 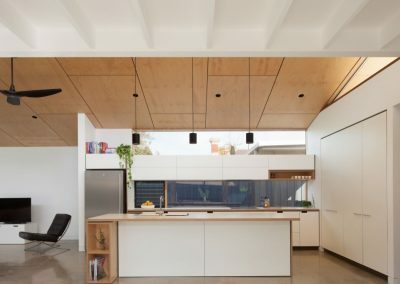 These parties along with the client’s hand-picked kitchen makers, Cantilever Interiors, have designed and built a home that compliments the client’s desire to have a space that accentuates the exclusively hand crafted made kitchen including the materials, detailing and environmental performance. 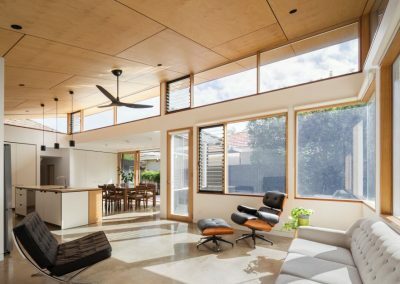 The addition has produced an elegant L-shaped plan that opens out onto an entertaining area that the family of four can truly enjoy. 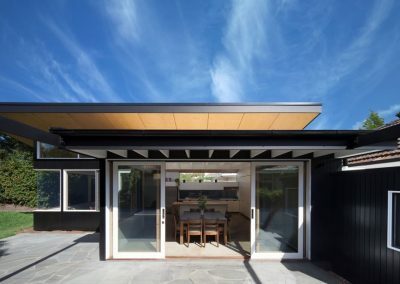 A raking roof sits up over north-facing clerestory Breezway Altair Louvre Windows and fixed glass panels to allow light and warmth deep into the house. 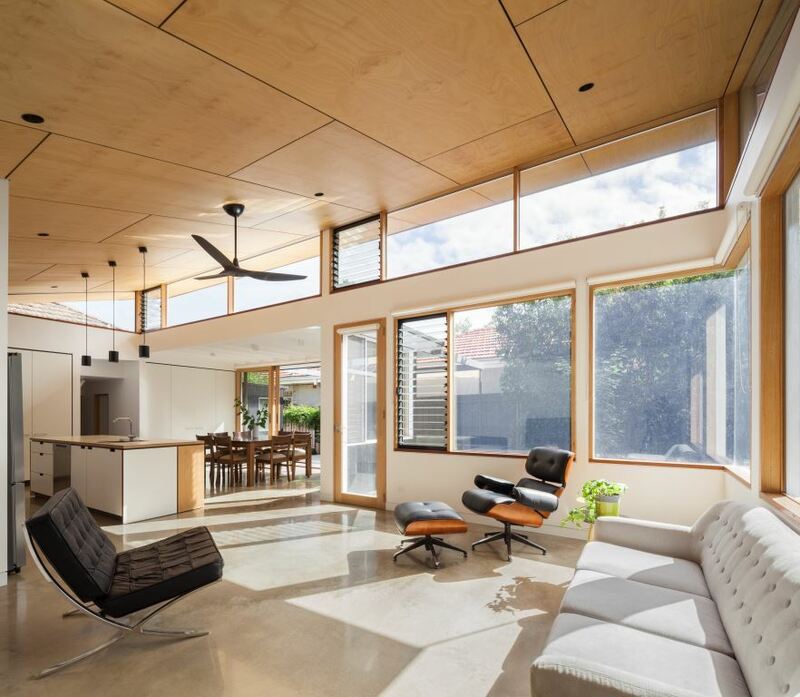 Through the use of such windows, household occupants can feel at one with nature from the inside. 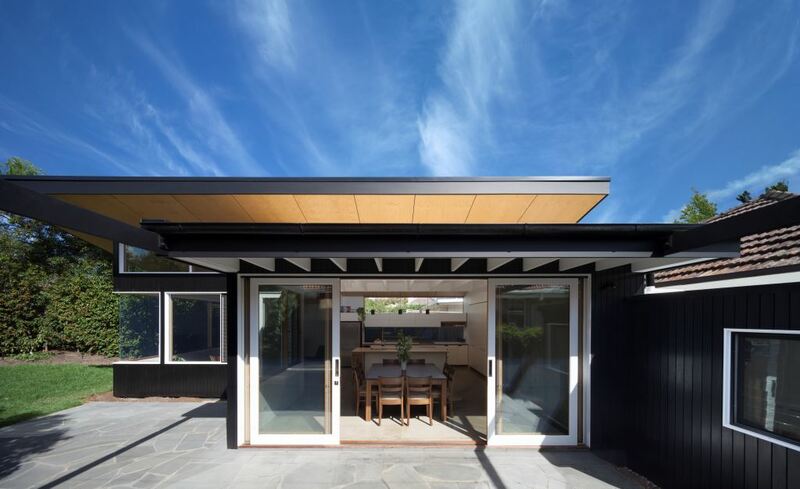 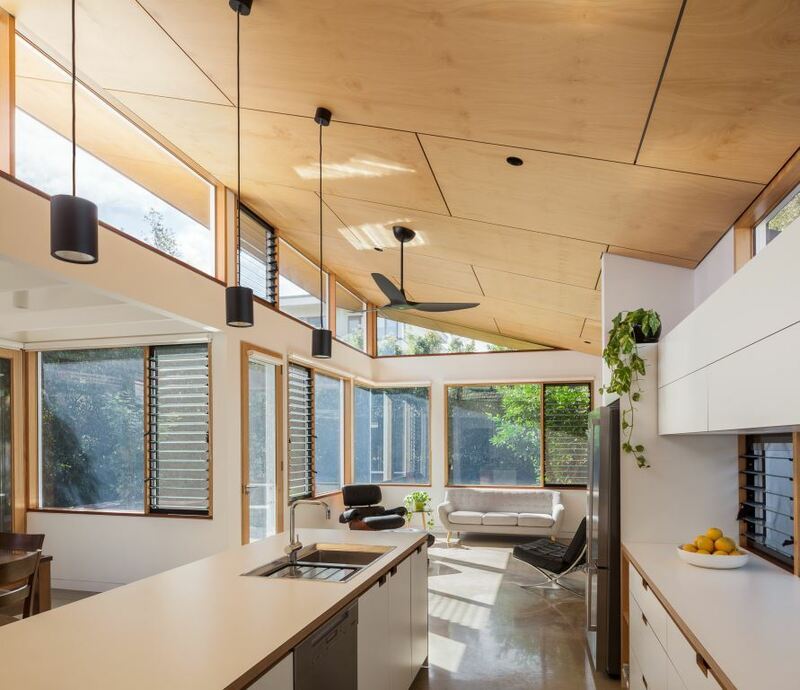 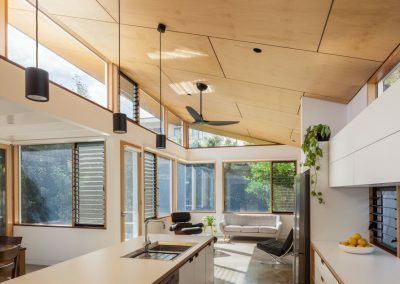 There is a minimalist pallet of colour and materials however the Breezway Louvres and other windows installed into timber frames compliment the Cantilever’s monochrome surfaces. 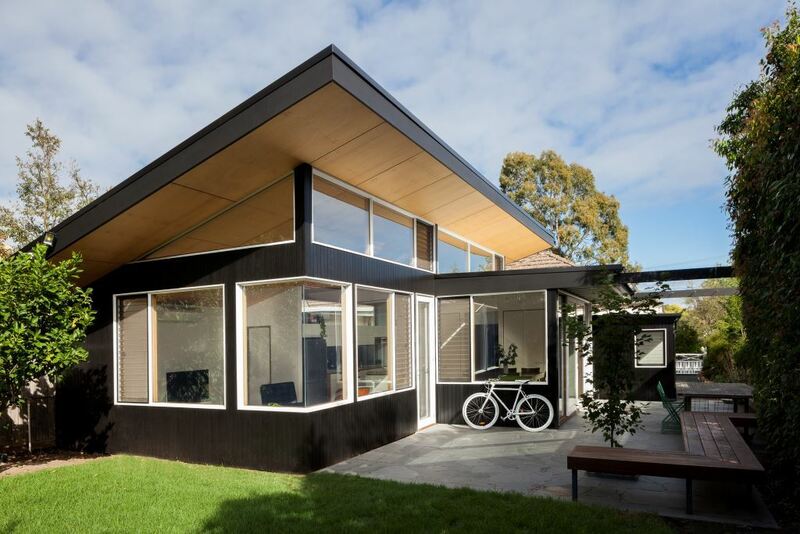 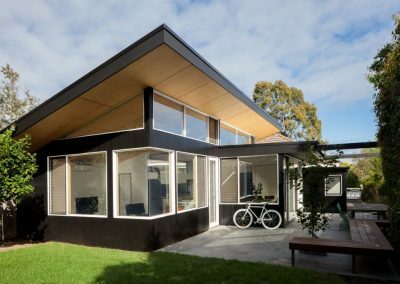 The architectural elements of the home are emphasised and the warm timber glows in the natural light against the backdrop of black, white and the green grass outside.